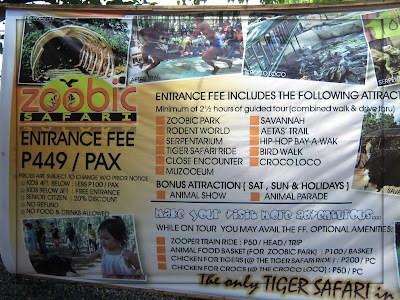 Zoobic Safari in Subic, Zambales prides itself in being the only Tiger Safari in the Philippines. 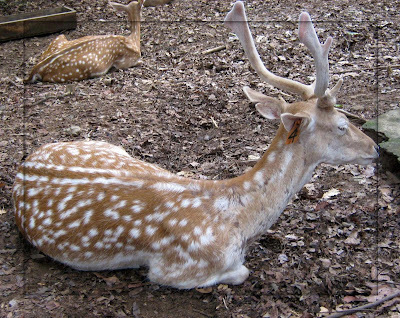 True enough, it's the only zoo my itchy feet have been to that has the Tiger Safari Ride. 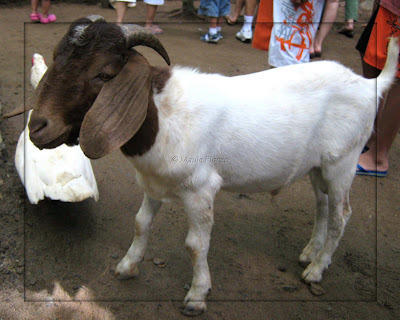 I will be expounding on that experience later on in this post. 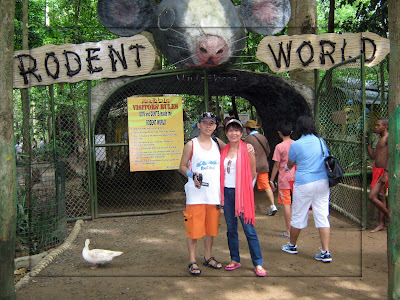 We were part of my husband's company summer outing last weekend. 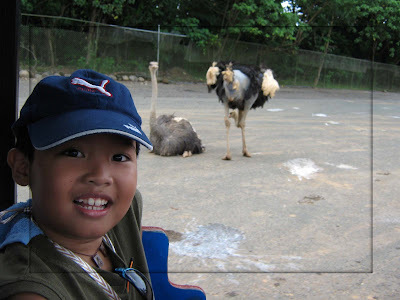 Zoobic Safari was the first in our itinerary. 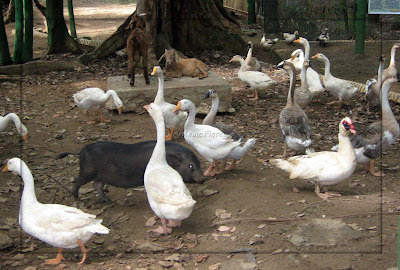 After the short orientation by our tour guide, we went inside the Zoobic Park to find pot bellied pigs, sheep, goats, and ducks roaming around the place. It was such a cute sight! The kids that were with our group had a grand time walking around and sometimes chasing the ducks. 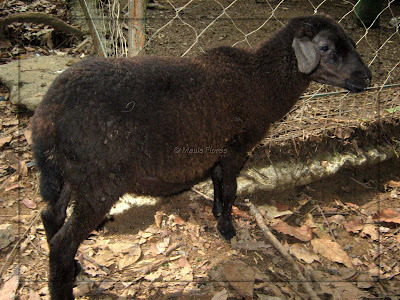 Our tour guide led us to other animals as well. 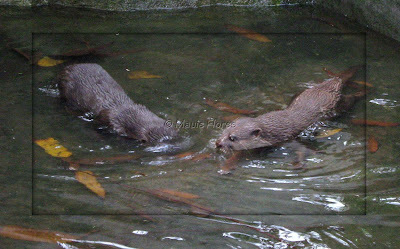 It was my first time to see otters swimming in a small pond. 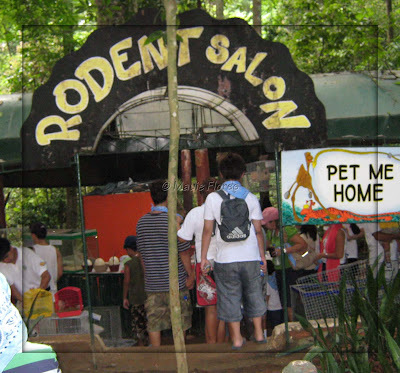 Next, we went inside a separate area called Rodent World. 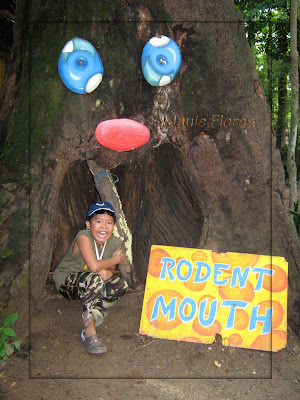 I mustered enough courage to enter the area and made sure that there were no rodents freely roaming around. Still, I did not go too close to the rodent cages. 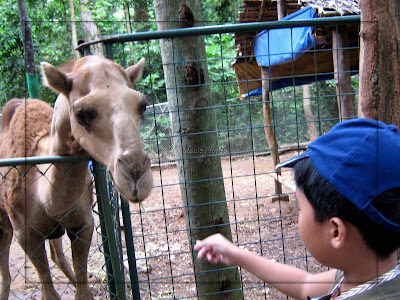 After that, we passed by the cages of albino carabaos, deers, and camels. 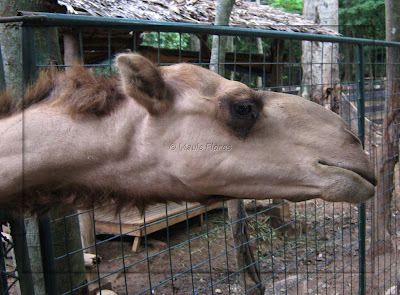 Ralph had the chance to feed the camels with the dead leaves that were scattered all over the place. 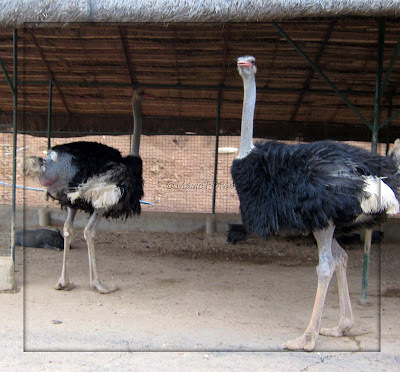 There was also a cage where ostriches were kept but we were informed that more ostriches are placed in the zoo's Savannah area. 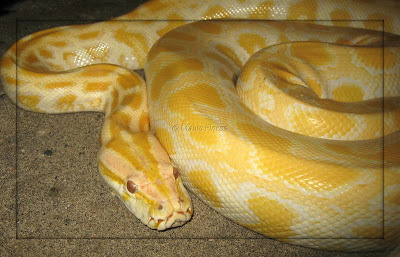 We went inside the serpentarium and saw different snakes and reptiles. 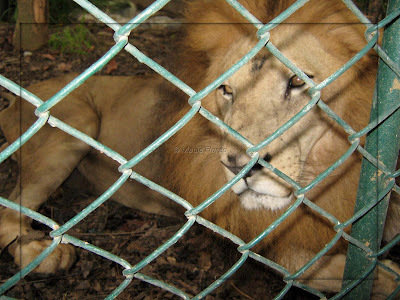 We also passed by the cages of lions and cougars. 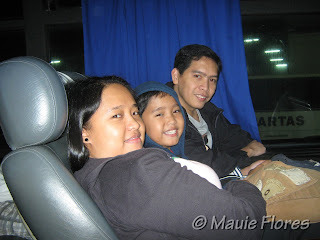 Then, we were led to a waiting area where a coaster took us to the Tiger Safari. 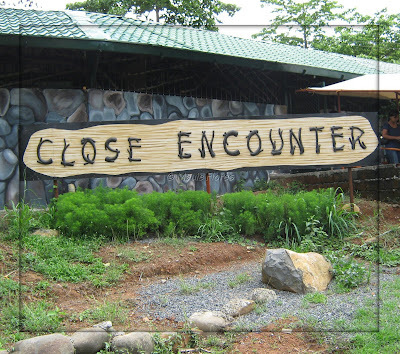 It is where we rode the caged jeepney and interacted with the tigers on the loose. 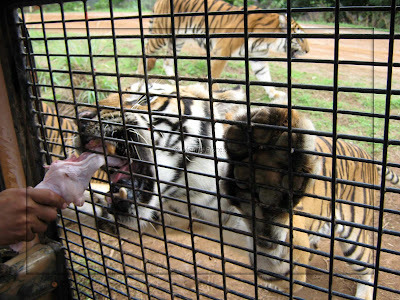 Since we were a large group comprised of four families, each family contributed equally so our group can buy the Php 200 chicken for the tigers. 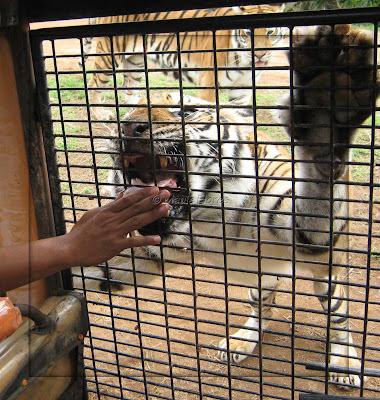 A zoo employee rode with us and he was the one who fed the chickens to the tigers. He tossed a piece on top of the jeep and a tiger jumped and ate the chicken on top of our jeep. I got quite disappointed, however, because the ride was just a short one. Our group road the coaster again that brought us to the Close Encounter area. 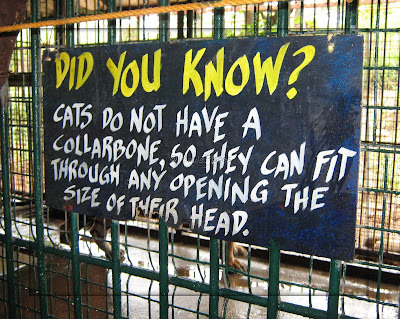 Judging from the name of this place, I assumed that there will be more tigers roaming around the place and we will be allowed to come near them. 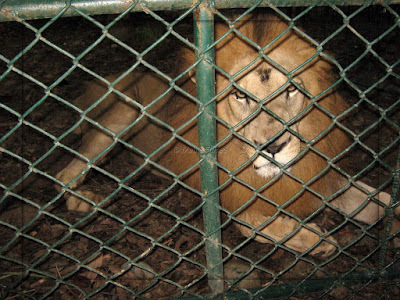 Instead, we just saw tigers inside their cages. 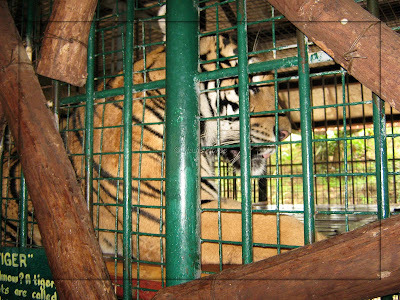 We were not even allowed to get close to the cages because our guide warned that the tigers may feel threatened. 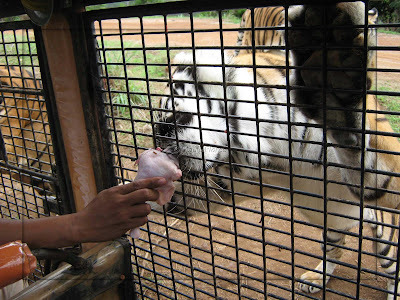 I felt that we had a closer encounter with the tigers in the Safari Ride compared to what we experienced here. 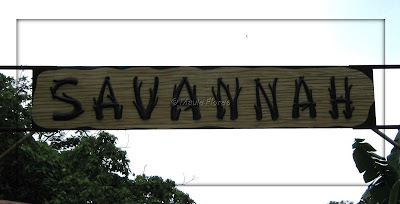 Another coaster ride led us to the Savannah, another major attraction of the zoo. 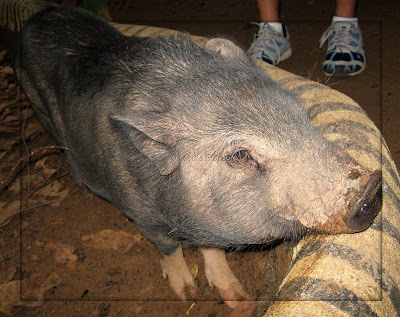 We rode a train and were able to see ostriches and pot bellied pigs roaming around. 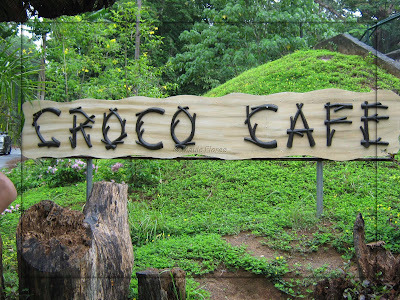 After the train ride, the coaster brought us to the Croco Cafe. The rains started to pour when we got there so we were confined inside the cafe to check out the souvenirs for sale. A window at the back of the cafe was overlooking the crocodile pond and we were able to get hazy views of the crocodiles from there. 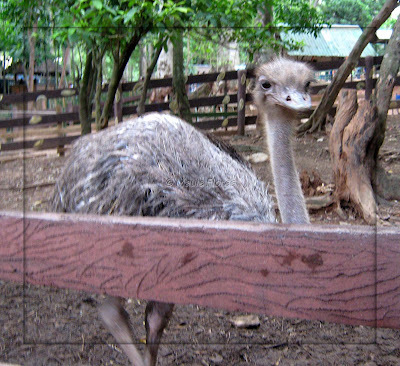 The tour guide informed us that we could have fed the crocodiles with chickens if it wasn't raining. That was the last area that we visited that day. 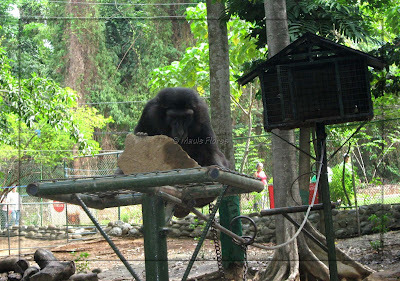 There was still an animal show inside the zoo's ampitheater but we did not bother to watch anymore. 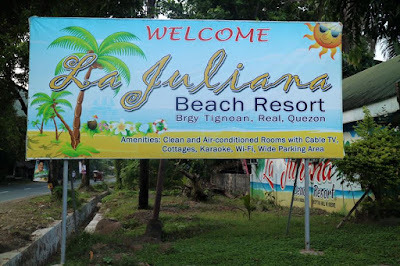 The entire tour took almost three hours and we needed to be in Camayan Beach Resort by lunch time. 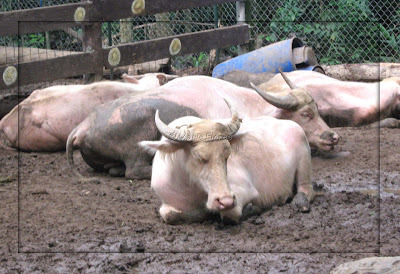 Though I think that the place is overpriced (compared to just visiting Avilon Zoo in Montalban, Rizal) I think I will still be trying to get in the place even if it costs Php 449 per person. The Tiger Safari Ride, though short, was a remarkable experience! 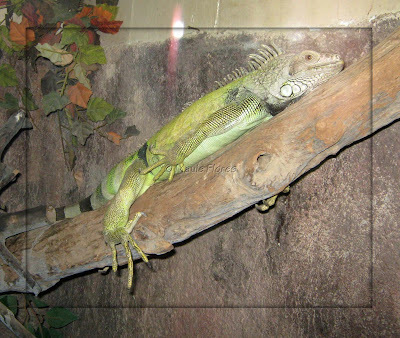 Visit the Zoobic Safari site for more details about the place. Great photos! I would love to take my son there. He loves animals and would be thrilled to see those animals up close.